The Conjuring House, the first title from RYM GAMES, locks you into the depths of the eponymous house, surrounded by an enclave of ghostly cultists, eldritch monsters, and violent spirits. However, a dated gameplay experience leaves more of a fear of playing the game than of the terrors within. When your crew of paranormal investigators goes missing inside of Atkinson manor, and the front door to the house magically seals, you find that the only way out is to destroy a series of cursed objects scattered throughout the various floors and secret chambers. The evil power of these relics fills the space, engulfing every inch of the building in ominous and mysterious energy. The sound of rolling thunder and rain on the windows combined with the methodical tapping of your own footsteps grounds you firmly in the house. It sets the stage for a difficult stay in a dreadful place. Unfortunately, once the atmosphere loses its novelty, the rest of The Conjuring House is more frustrating than frightening. Recycled visual assets and an astoundingly high number of locked doors create an aggravating and circular journey. 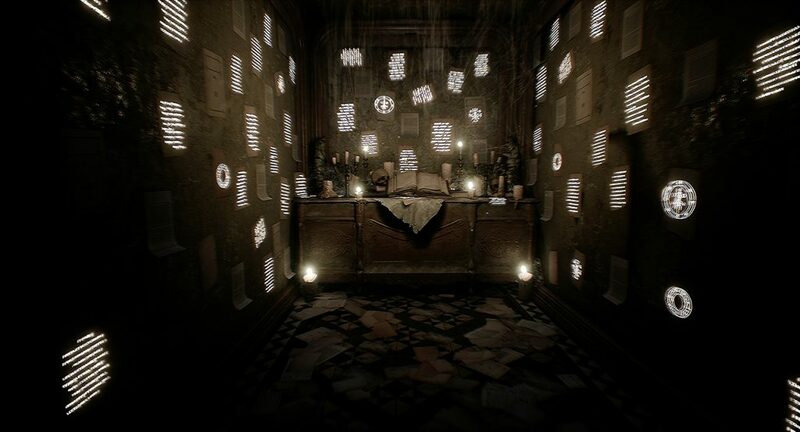 The frustration of finding your way from room to room in the dark is compounded by the omnipresent spirits that appear throughout the mansion. In order to save yourself, you have to flee to one of the closet-sized save rooms, covered in runes and wards, and wait. You simply stand and wait. The only other way to survive these creatures is through consumable talismans which are few and far between. This waiting game, coupled with frequent cutscenes that wrest control from you, sit at the center of The Conjuring House’s experience. Another core piece of the horror adventure experience is puzzles. 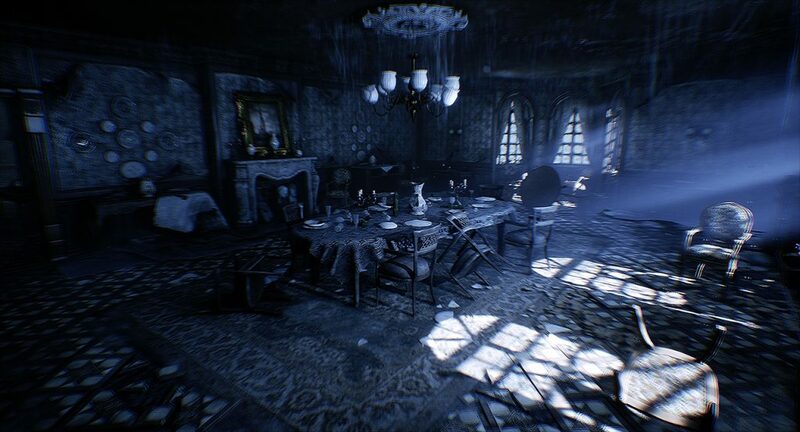 Horror games are often rooted in elaborate, interconnected puzzles, but the puzzle mechanics of The Conjuring House are limited to finding a new key that fits the new lock. Rather than thinking critically through a complex riddle, the solution to everything in the house is to wander aimlessly until you are given a key that matches the next door. The few times you are granted an item that isn’t a key, like a hammer or crowbar, they remain a single-use item that could have just as easily been a key. Finding the next key in the series of keys also leads to what seems to constitute narrative development. Almost all of the newly discovered rooms in the building is home to a new crash, scream, or shifting figure. While jump scares are well and good for teenage horror blockbusters, the onslaught of shrieks and bangs only cheapened the thrill. The game seemed dedicated to making me run away, but even if I wanted to, the mechanics themselves didn’t allow an easy getaway, and much like its namesake building, The Conjuring House harkens back to relics of a bygone era. Both mechanically and visually, The Conjuring House feels like a game designed for an older generation of gaming. Turning too sharply while sprinting causes you to stop running. Squeezing through narrow crawl spaces takes ages. Interacting with the environment is unresponsive, and is doubly difficult when the cursor disappears from view. For a game that is so heavily dependent on suspension of disbelief and immersion, the overall design seems almost at odds with its intention, and this is only made worse by its poor visual clarity. Walking through the house is a dizzying experience. The camera is far too fluid, and its motion, combined with a strange blur effect, makes moving nauseating. At the highest graphical settings available, the gothic wallpaper and small collectibles had a pixelated particle effect and at any settings lower, playing was impossible. The game’s long cutscenes combine these awful elements: close-ups of low-resolution monstrous faces are flung in front of your screen before you are thrown against a wall or shoved to the ground. While these problems never go away in full, the final act turns the disorientation and confusion into something that is almost fun. At its climax, the game wholly embraces its eldritch nature and throws you into an incomprehensibly dark, mind-bending world. A new version of the house is defined by hallways that lead to themselves and doorways that open to holes in the ground. Dramatic tension builds quickly as you clamber over levitating furniture and past walls of eyes and terrifying tendrils, but it falls just as easily. In those moments though, there is a brief glimpse behind the veil into what could have been. 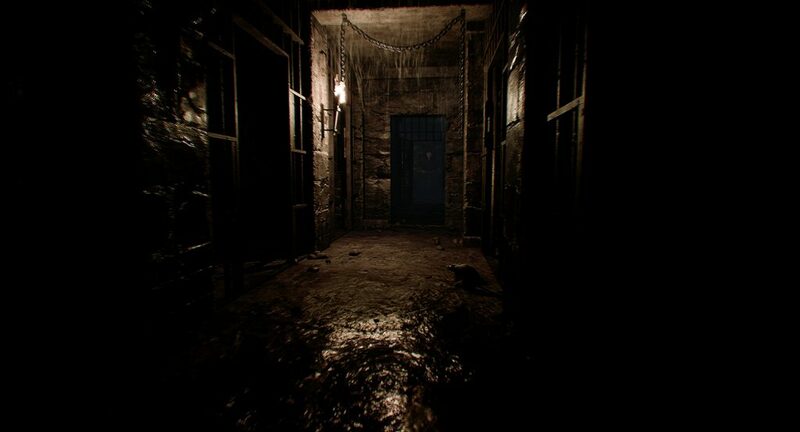 With the final relic destroyed, you are finally able to make your way outside, but escaping the Atkinson manor requires time, patience, and a willingness to overlook repetitive and bland gameplay. The opportunity for an immersive horror experience is lost in the weak storytelling, dated graphics, and buggy mechanics that curse The Conjuring House, and now that I’ve escaped, I can promise you that I won’t go back in.